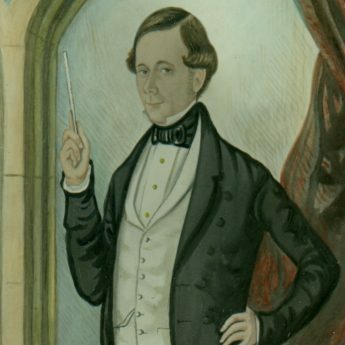 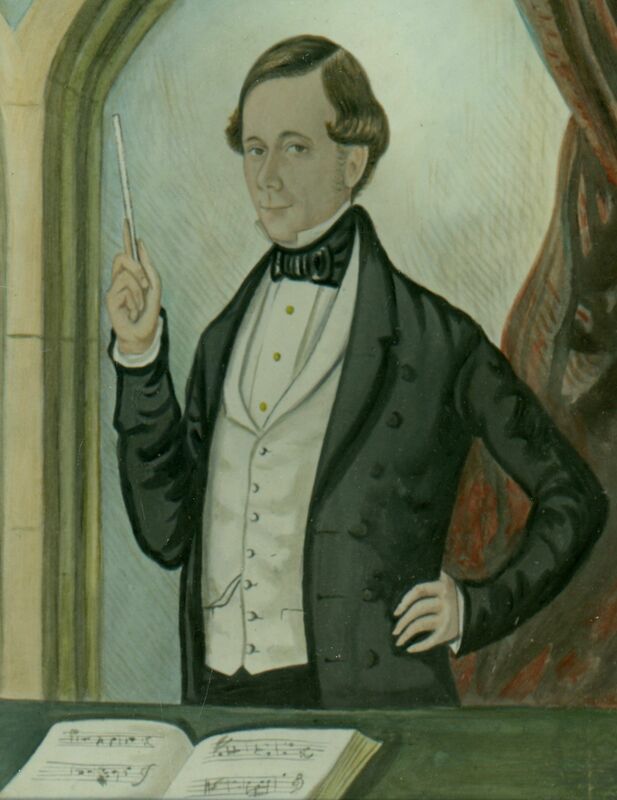 This half-length watercolour portrait depicts a well-dressed conductor poised in a classical setting with stone arches and drapes holding his baton and with his music open on the table in front of him. Dating to the mid 19th century, the watercolour is set in a handsome bird’s eye maple frame with a gilt slip. 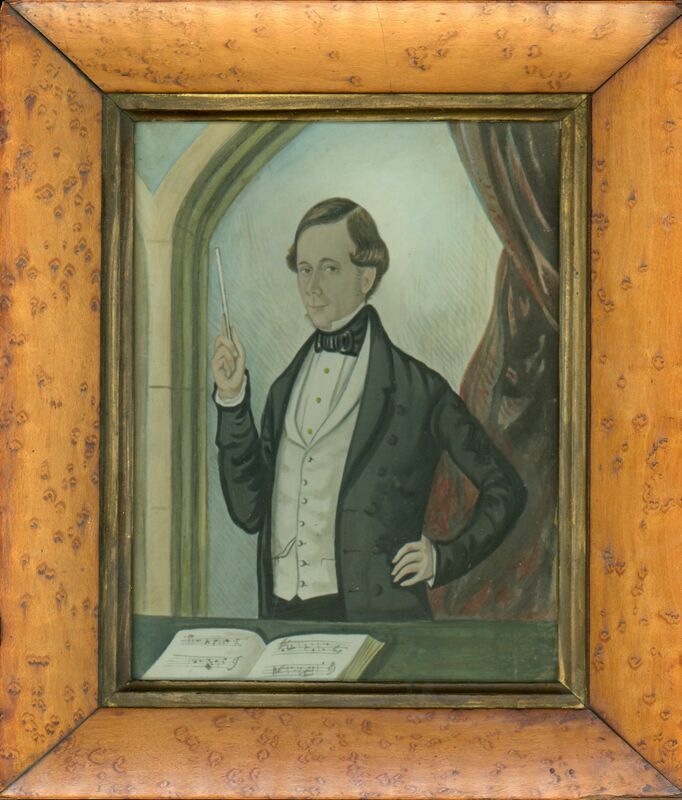 A fine example of folkart in excellent condition.